A drafting table, a desk, and two chairs. In 1954, the Red Wings won the Stanley Cup, Matchbox cars hit the toy market, and Boeing tested the first 707 jet-powered airplane. A postage stamp cost 3 cents. A gallon of milk cost 92 cents. Typewriters even had the “cents sign” on the keys. And Spalding DeDecker & Associates (SDA) opened for business in a small storefront on Woodward Avenue in Birmingham, Michigan. Founding Fathers Vernon Spalding and Frank DeDecker began their partnership with a simple verbal agreement and handshake. They took an oath to focus on quality of workmanship and integrity in client service. Their office consisted of a drafting table, a desk, and two chairs. That oath would become the benchmark of excellence in their field. SDA’s first project consisted of subdivision lot grading plans for a local builder in Lansing. By 1955, one project had turned into 40. Land developers engaged the firm for a variety of large and small subdivisions. These initial projects opened the door to increasing opportunities. In 1956, while on assignment in Clinton Township, Frank was approached by the Township Supervisor. That meeting became a pivotal event as SDA became the Township’s Consulting Engineer (a relationship that lasted for more than 50 years). They hired their first two employees. 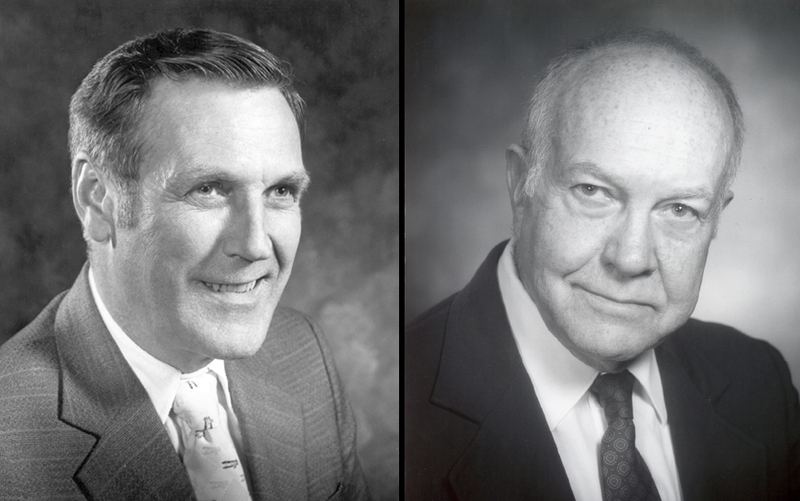 In 1966, they were selected as Township Engineer for four more major municipalities: Macomb, Washington, Chesterfield, and Harrison. SDA staff had reached twenty as the firm continued to expand its services and build its client base. Rooted in the strength of the triangle. The triangle is the strongest shape in geometry. Its sides reinforce each other (thank you, ancient engineers). SDA incorporated the triangle into its logo as it represented the three main components of how they did business: quality, integrity, and (skilled) people. SDA rooted itself in the strength of its business model as it weathered the economies of the next three decades. They continued to innovate using new technologies combined with good old fashioned instinct and common sense. The SDA map was filling in with more and more clients and communities, including counties, states, and the federal government. 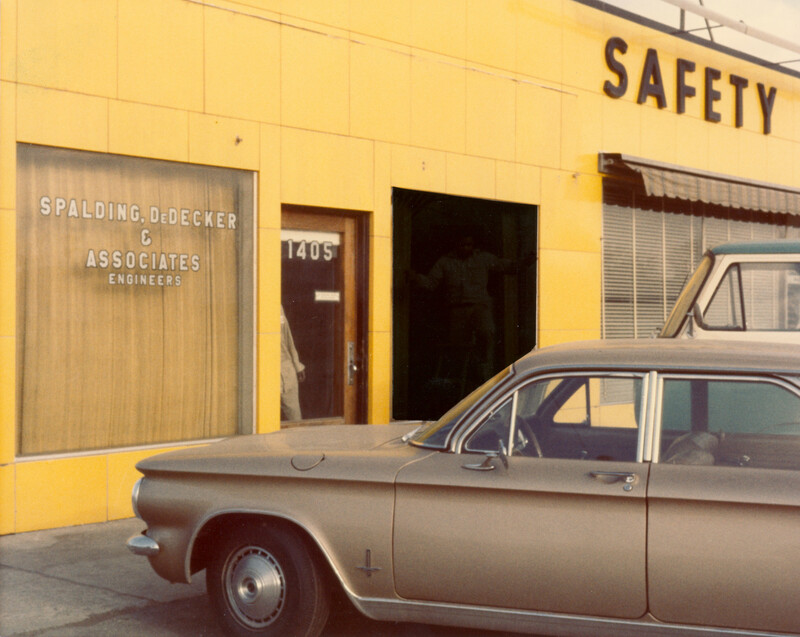 Spalding DeDecker made quality and integrity common practice. The next generation. The same oath. As the company grew, Vern and Frank saw hard work responsible for many achievements, including new business development, expanding service options, and hiring talented new staff. SDA was a growing business with a consistent philosophy. More SDA doors were opening for business. In 1988, they opened their Lansing, Michigan subsidiary – McLravy Engineering Associates – as well as a small office in Pontiac, Michigan. In the summer of 1995, the Detroit office opened. To house its growing operations and staff, SDA purchased vacant land in Rochester Hills, Michigan and built a larger office in 1996. Talented staff was at the doorstep. John DeDecker, Michael DeDecker, and Catherine DeDecker grew up with and into the business. Elizabeth Stanek, Catherine’s daughter, has the 3rd generation’s seat at the SDA table. Vern retired in 1986. Frank retired in 1994, and SDA became a 100% employee-owned business, giving each team member a vested interest in the success of the company. The next generation. The same oath. Civil engineers build the world’s infrastructure. A good engineer knows how to work the land under their feet using the tools in their hands with the head on their shoulders. Great engineers do this consistently. They become the benchmark of excellence. Today, still headquartered in Rochester Hills, Michigan, SDA has a regional office in Detroit, along with field offices in Michigan and Ohio. SDA offers a diverse core of engineering and surveying services for municipal, land development, transportation, and water/wastewater projects – along with complete construction engineering services. 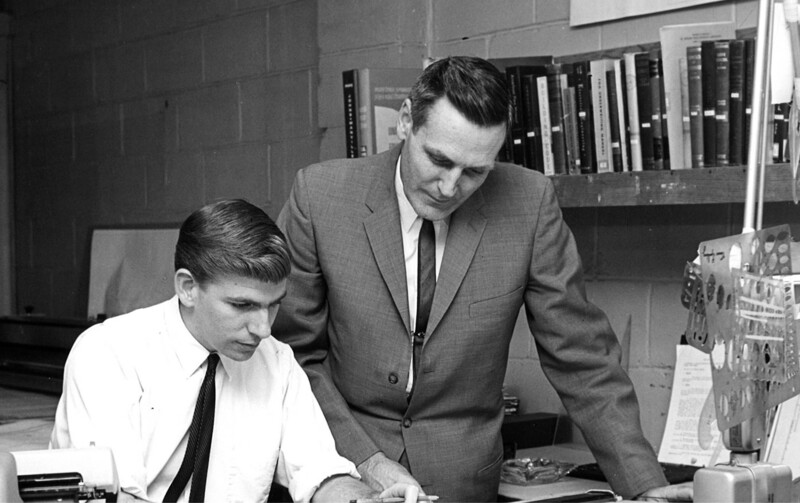 Based upon our quality of workmanship and integrity in client service, SDA celebrates more than 60 years in business.